Play’n GO is a gaming specialist and the leading mobile casino gaming developer. Our games are designed for great performance on smartphones, tablets, terminals and websites. By combining extensive experience with the latest technology we create products that are truly modern, complete & highly flexible. Play’n GO’s premium gaming content, designed for multi-device consumption stand out from the competition and are greatly appreciated by players worldwide. Fire Joker will be the perfect complement to the summer’s soaring temperatures – or will certainly warm things up if it rains! We are extremely excited to work on Hugo – a character that many around the world grew up with and remember fondly. It’s fantastic to have such a well-connected, industry veteran like Staffan on board. His years of experience in South America will help drive us towards our goals for growth in the region. We are delighted to help Las Vegas Casino develop their online offering by providing our industry leading solutions and premium content. We are delighted to have our content go live with Eurobet and can’t wait to see all of Italy delight in our innovative, premium content. In a crowded marketplace it took some blue sky thinking to come up with Cloud Quest, a slot which stands apart from rivals. 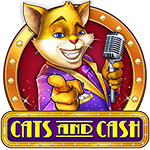 Our newest slot has best-in-class graphics, sounds, and animation and we can’t wait to see players samba their way to success. It’s a tremendously exciting time for the company and we’re sure Cloud Quest will be a hit with operators and players alike. We’re delighted to be recognised again by the judges at the iGaming Awards. Last year’s victory really kick-started a fantastic year for Play’n GO in which we grew both our content portfolio and number of operator partnerships. Book of Dead is a spellbindingly exciting slot that players won’t be able to tear themselves away from. Xmas Joker is the perfect slot for the holiday season as the nights draw in and the snow begins to fall. Rage to Riches is a nostalgic slot title boasting stunning graphics, sounds and animations that will give players the opportunity to go on a lucrative rampage once again. Happy Halloween is a slot that will bewitch and delight players in equal measure with premium performance and industry-leading animations. Launching simultaneously on both mobile and flash ensures the game will be available on all devices and we can’t wait to see how many players are brave enough to stare into the Eye of the Kraken. We were truly inspired by the natural beauty that surrounds us in the design of Wild North. Play’n GO Make ‘Contact’ with Latest Release! Play’n GO were awarded Games Vendor of the Year at the Malta Gaming Awards last night. The awards are “one of the biggest events in the industry” and take place on the eve of SiGMA, one of the defining occasions of the iGaming calendar. 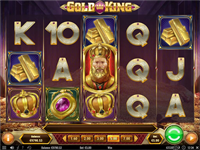 The award comes as a result of a great year for Play’n GO, which included the release of several high-profile titles, including the hugely popular slots Sweet Alchemy and House of Doom. The awards were held at Malta Fairs and Conventions Centre and Head of Sales and Account Management Magnus Olsson, was in attendance to pick up the award. Put Some Money in the Kitty with Cats and Cash!